The Texas Tribune reports that House Speaker Joe Straus (R-Bexar County) has been re-elected, as expected, to a rare fourth term as speaker. He annihilated his competition, embodied in State Representative Scott Turner (R-Rockwall County), by unbelievably lopsided margins. The final tally was 127 for the speaker, 19 for Turner (two absences and two vacancies). While Straus, yet again, received the unanimous support of Democrats, there were 76 votes in the Republican column alone for him. This means that, contrary to the misleading claims made by Straus’ detractors, he did not require bipartisan support for his election. Turner could obviously tell that his quest for the speakership was quixotic at best and delusional at worst as early as November. But unlike the other speaker challenges, which were abandoned before January, Turner soldiered on for very different reasons. He never expected to actually win the gavel (at least I hope not). The entire point of the challenge was to force a record vote for speaker, something that has not been done since the 1970s. Right-wing groups, such as the Northeast Tarrant Tea Party and Michael Quinn Sullivan’s Empower Texans, have pledged to recruit primary challengers for all the Straus loyalists. We’ll see how that works out, but color me skeptical. Thanks to Empower Texans, we have a roll call of all nineteen of the Turner loyalists. State Representatives Dawnna Dukes (D-Travis County) and Tom Craddick (R-Midland County) were the two absences. While Dukes has intimated that she would have supported Straus, Craddick — a former Speaker who was deposed by Straus in 2009 — is tougher to pin down. State Representatives Rodney Anderson (R-Dallas County), Dustin Burrows (R-Lubbock County), Pat Fallon (R-Denton County), Bryan Hughes (R-Wood County), Mark Keough (R-Montgomery County), Stephanie Klick (R-Tarrant County), Matt Krause (R-Tarrant County), Jeff Leach (R-Collin County), Matt Rinaldi (R-Dallas County), Scott Sanford (R-Collin County), Matt Schaefer (R-Smith County), Matt Shaheen (R-Collin County), David Simpson (R-Gregg County), Stuart Spitzer (R-Kaufman County), Jonathan Stickland (R-Tarrant County), Tony Tinderholt (R-Tarrant County), Molly White (R-Bell County) and Bill Zedler (R-Tarrant County) all supported Turner. Interestingly enough, Turner — a native son of the DFW Metroplex — garnered a significant chunk of the delegation from up there, but only one representative from Greater Houston and zero from both the San Antonio and Austin areas, respectively. 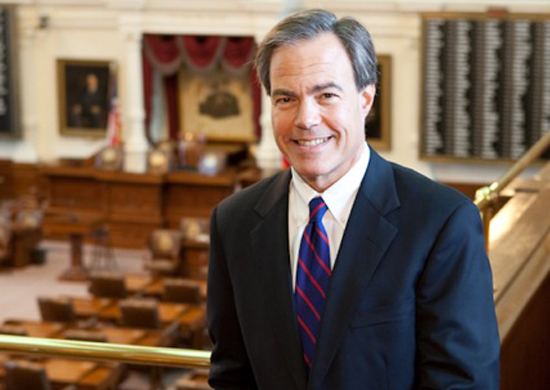 The House is still Straus’ fiefdom, that much is no longer up for debate. The question is what type of lower house he will command over the next 140+ days. Texas Monthly just published a lengthy interview with Straus, and I strongly urge you to check it out. Most pressingly, he appeared strangely tepid on Greg Abbott’s prospects as Governor. This led Breitbart Texas to explode and publish a real hit piece against Straus. Trouble in paradise already, evidently.